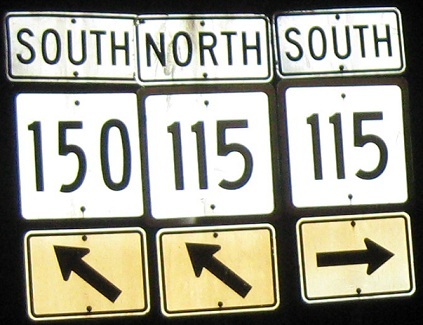 When CT 150 leaves US 5, it takes over Broad St. and the original Hartford Turnpike (a.k.a. Berlin Turnpike when it's on 5 and CT 15). There's a good chance that this started out as US 5, although it does bypass Wallingford so that's not certain. The death knell for the old turnpike was the dam that formed Lake Whitney in Whitneyville (all named after Eli Whitney), which cut off the through route. SB at Masonic Ave., where CT 150 breaks off of the turnpike and heads southeast toward Northford. The actual turnpike has been turned into parking lots in front of a hospital, so this is the closest approximation you can follow. 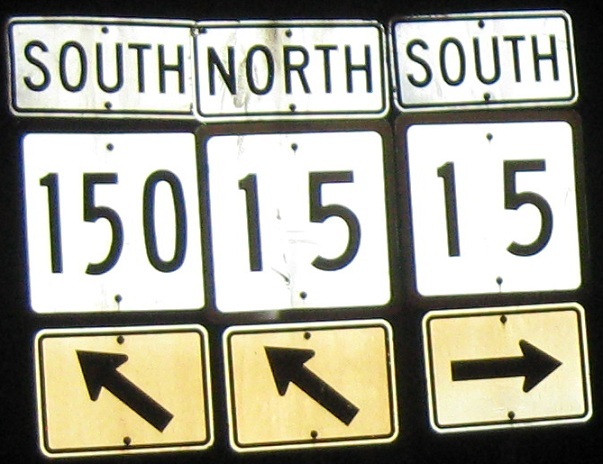 The "15" is spaced so far apart, it's as if they were altered CT 115 shields. I decided to test that by mocking it up. Click to see my thoughts on what the shields would look like - the spacing has not been altered, only an extra digit inserted. It seems to work perfectly. CT 150 turns from Center St. onto Woodhouse Ave. in eastern Wallingford. 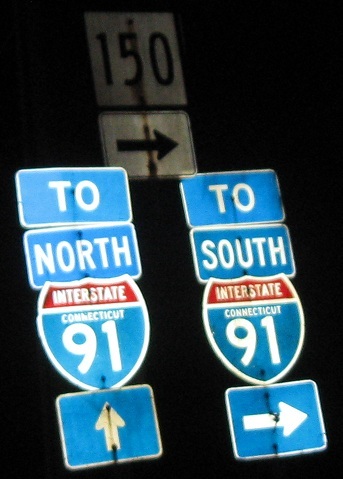 Both streets lead to half of I-91 Exit 14.